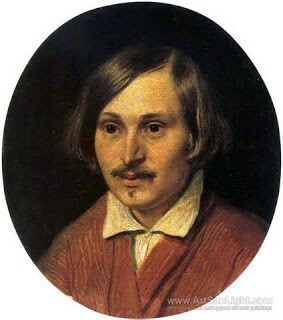 Born in the Ukraine, Gogol published his sardonic tale ‘Diary of a Madman’ in 1834, in which he described the inner psychic conflict of the person named Axenty Poprishchin. It has been speculated that this short story contains one of the earliest descriptions of schizophrenia.1 In 1842, he wrote about pathologic hoarding in Plyushkin, a fictional Russian hoarder who appeared in his novel ‘Dead Souls’. At school, Gogol himself was called ‘mysterious dwarf’ by his peers and he lacked the ability to build and maintain satisfactory interpersonal relationships with them. Many authors considered that he suffered from a mood disorder.2,3 In the latter part of his life, Gogol presented a religious delusion and his delusional thinking had a great social and professional impact. According to an eyewitness, Gogol experienced hallucinations and often reacted violently. He became paranoid and burned all his manuscripts, including the second part of ‘Dead Souls’. In his final days, he refused his meals and starved himself to death, leaving numerous novels and short stories that had great impact on Dostoevsky and Tolstoy. A pathography can be defined as ‘the study of the effects of an illness on the writer’s (or other artist’s) life or art, or the effects of an artist’s life and personality development on his creative work’.4 Many pathographists in the history of art and literature can be included in this category including Ernest Hemingway, Vincent Van Gogh and Francis Scott Fitzgerald. However, the concept of autopathography is a more recent conceptualization of literary and artistic works in which autopathographists describe their own suffering from a serious, chronic or incurable medical condition with the aim of (1) destigmatizing the illness, (2) helping other patients to accept their situation, (3) earning money and gaining empathy, and (4) educating and criticizing carers and society.5,6 Accordingly, Nikolai Gogol is a pathographist who wrote many stories while being affected by a severe mental disorder. However, at the same time, he might be considered as one of the first autopathographists in history since, on one hand, many similarities can be found between Gogol’s biography and pathography and, on the other hand, Gogol’s mental disorder might have prevented him from acquiring insight into his own psychiatric symptoms and therefore he might have written of his own suffering without meaning to do so. Altschuler EL. One of the oldest cases of schizophrenia in Gogol’s Diary of a Madman. BMJ 2001; 323: 1475–1477. Janka Z. Artistic creativity and bipolar mood disorder. Orvosi Hetilap 2004;145: 1709–1718. Upthegrove R. On Nikolai Gogol’s Diary of a Madman – reflection. British Journal of Psychiatry 2014; 204: 156–156. Campbell RJ. Campbell’s psychiatric dictionary, 6th ed. Oxford: Oxford University Press, 1989. Aronson JK. Autopathography: the patient’s tale. BMJ 2000; 321: 1599–1602. 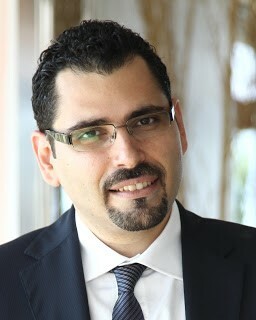 Rami Bou Khalil born in Kfarhouneh, Lebanon, in 1980. Graduated from medical school at Saint Joseph University, Lebanon, in 2006. Graduated in general psychiatry from Saint Joseph University, Lebanon, in 2011. Holder of a partial specialization degrees in general psychiatry from Paris-Diderot University, France, in 2009 and from Louvain’s Catholic University, Belgium, in 2011. Holder of several university degrees in cognitive behavioral therapy (Saint Joseph University, Lebanon, in 2008), psycho-oncology (Paris-Descartes University, France, in 2009), organic and psychiatric comorbidities (Pierre and Marie Curie University, France, in 2009) and addiction (Saint Joseph University, Lebanon, in 2010). First year of master in biomedical sciences from Saint Joseph Unievrsity. First year of Euro-mediterranean interuniversity master in biotechnology and neurosciences. Psychiatrist at the department of psychiatry at Saint Joseph University and at the Psychiatric Hospital of the Cross, Lebanon. Author of several book publications in English and in French in the domains of clinical psychiatry, neurosciences and psychopharmacology.